See the full post from The Exhausted Mom. For those of you who have never heard of Stitch Fix, here is the concept. You fill out an online profile of your size and style, and from there your stylist picks out 5 items to send to your front door. Overall, I was extremely satisfied with my items and I am sure I will be scheduling one again sometime soon. The minute I put this tank top on, I fell in love. I love how loose and flowy it is and even better is its extremely comfortable. I am always on the hunt for longer shirts that I can wear with leggings and this top is perfect for that. I received four Stitch Fix boxes last year, and became obsessed. I love that my stylist sends me items I may not pick for myself when out shopping. It forces me to try new things! Also, since I live in a smaller town with limited shopping, Stitch Fix allows me to buy higher quality clothing that’s unique. I love this top! It’s super soft and flowy, but has a bit of stretch. It has kind of a hippie vibe to it, which I love. It will also be light enough to wear during the warmer summer months. See the full post from Sweet Success. 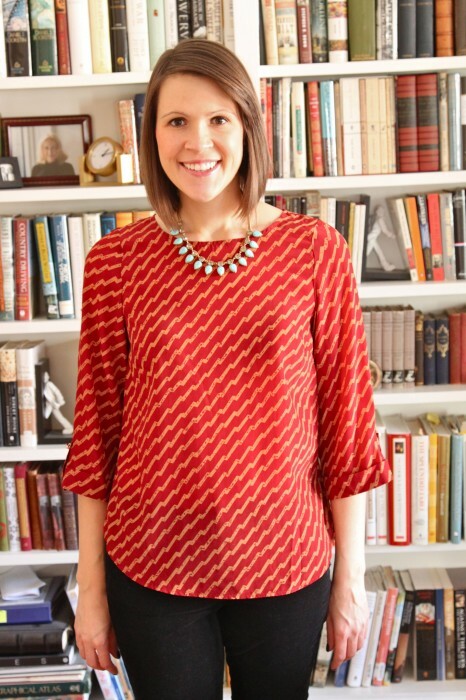 Stitch Fix Review by Melanie: I was happy to find a few keepers! I’m so glad my Stitch Fix arrived with a few pieces that will be just perfect for the transition to spring. I did a little early spring cleaning and made room for a few new favorites. I was happy to find a few keepers! I would have kept this, even if I had to use it as a hand towel. I’m a sucker for embroidery, and love wearing navy. I normally hate pink, but it just works here. This structured short sleeve is so much more flattering on my round shoulders. I’m always happy to find new things to wear with my white jeans, too. See the full post from Modern Typography. Each box has been getting better and better! I remember seeing other bloggers get this top (in different colors) in their boxes back in late summer/early fall, and loved it. Needless to say, I was thrilled to see it in this month’s box! On the hanger it looks like it might be a little boxy, but it’s actually not at all. It fits really well and the colors are great. This top is really versatile….it’s great tucked or untucked and I can wear it to work or going out. I also really love the button on the sleeves!